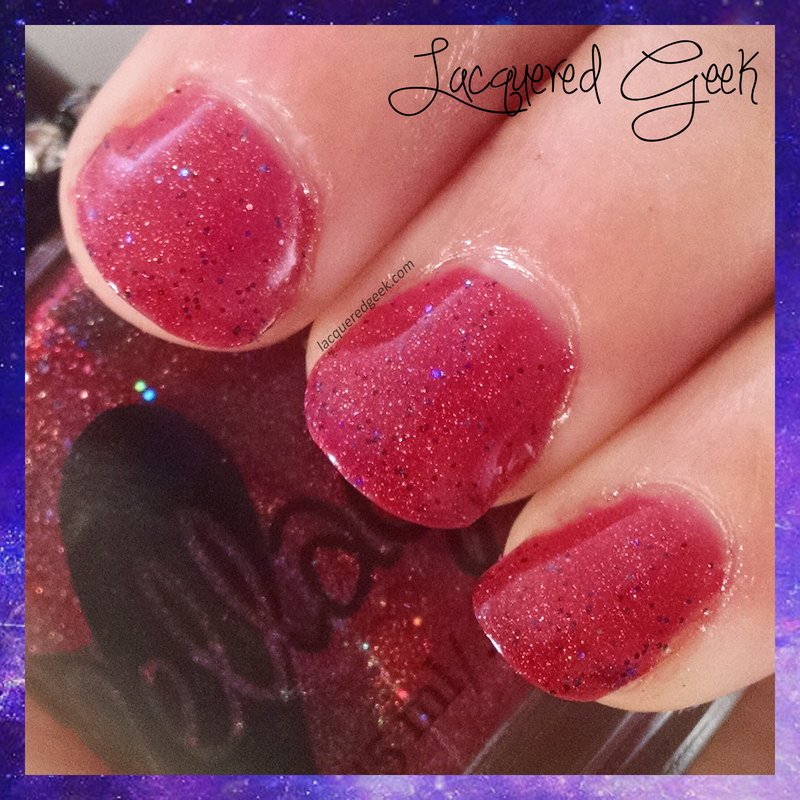 Indie fan groups are a great source of sneak peaks and the latest news about your favorite indie polishes, and sometimes the maker creates a special polish for the group. Today, I've got the latest group custom from Ellagee for the Gee I Love Ellagee! Facebook group - Ella-gance. 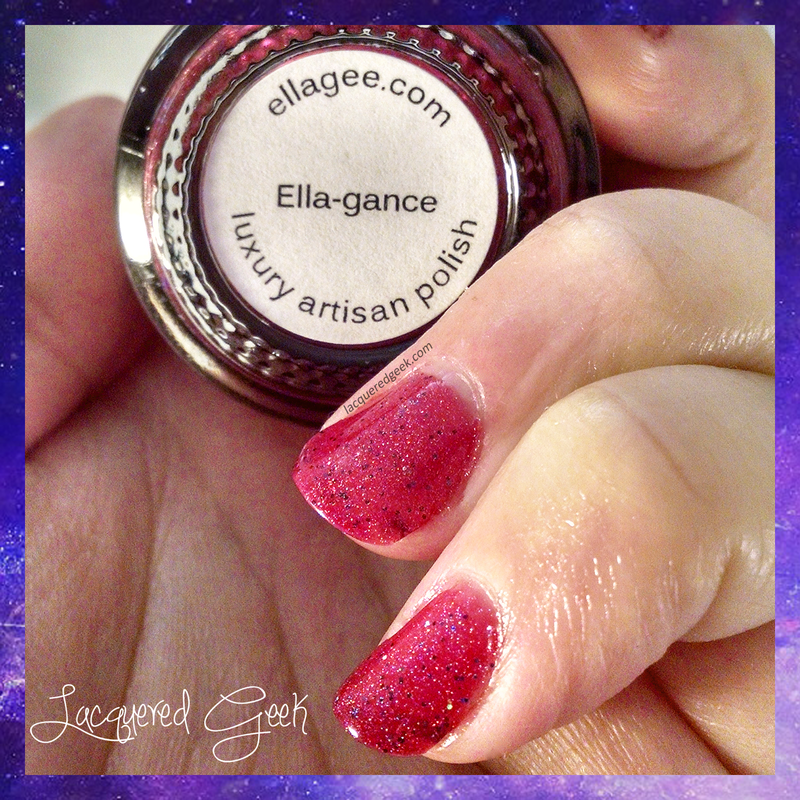 Ella-gance is described as a "red linear holo with purple flakes" For me, the polish leaned more fuchsia than red. But either way, it is a gorgeous and unique color. The formula was very good, a little on the thin side, but very workable. The first coat went on sheer, but I thought it was opaque with the second coat. However, when editing these photos, I noticed that there was a little visible nail line from certain angles, so next time, I'll use 3 coats. 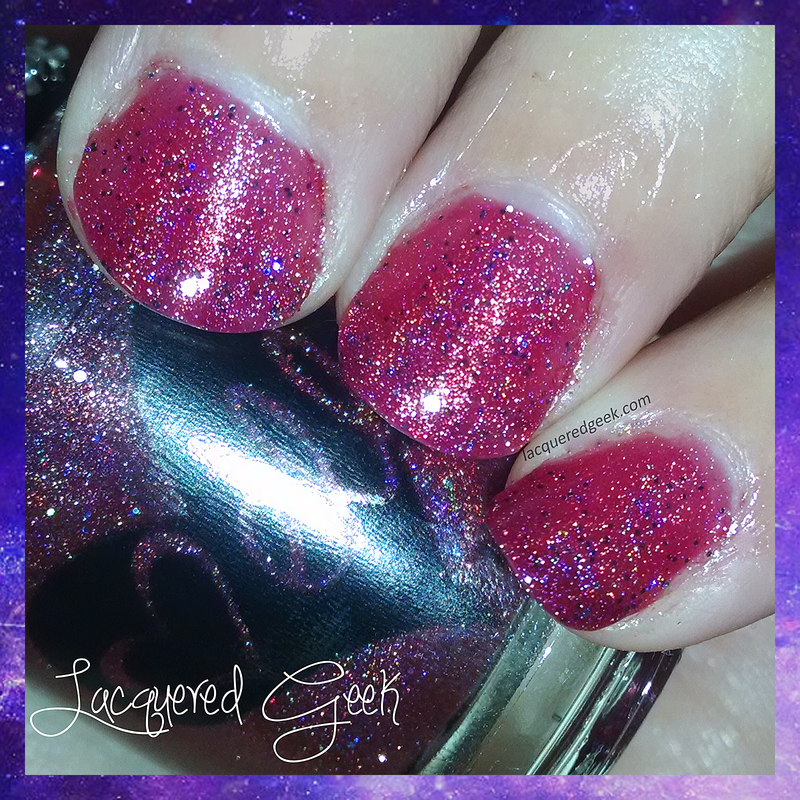 The last photo was to show the holo a little better. So are you a member of any fan groups? Do you have any group customs from them? Don't forget to go check out Gee I Love Ellagee! !